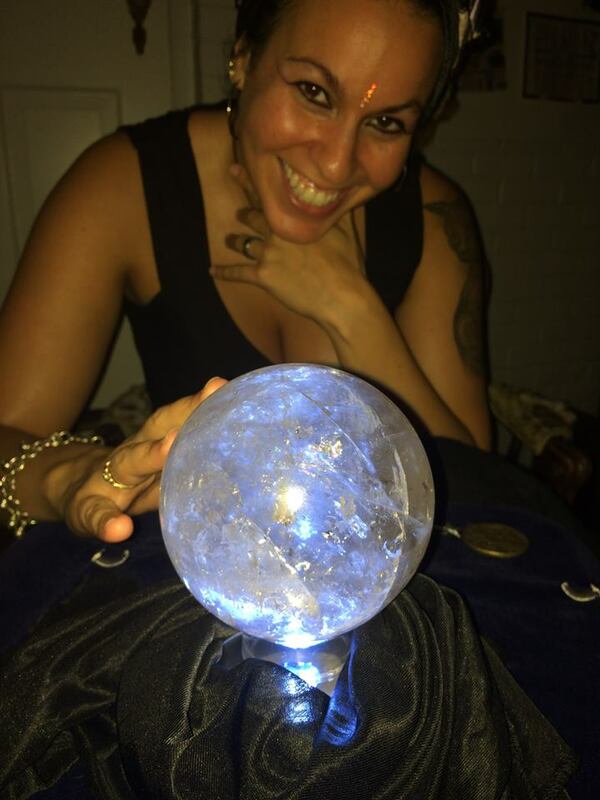 Crystal ball, Tarot, Sand Readings, Wine Readings, Touch Readings, Palm Readings, Handwriting analysis and more! I have 25 years of experience doing readings for entertainment. I work with people of all ages and no event is too small or too large. Whether you are having a party, family reunion, kid's party, or corporate event you will enjoy it; I see it in your future! She was great and the kids loved her. She was very entertaining! We are an assisted living community and we had a special Mardi Gras event. Samaria was so wonderful with all of the residents and their guests! Definitely hire her if your looking for someone engaging, fun and patient! Perfect addition to our party! Samaria was a huge hit at our Halloween party. Everyone was raving about her readings. Definitely will be hiring her for more events! The guests loved having her there, she was professional and punctual. Samaria is Amazing at what she does a true talent. I have party over 60 guests and everyone was so happy with their readings! Thanks Samaria!!! Everyone loved Samaria! She’s very flexible and communicates well. A lot of people said her readings were right on the money too! Would definitely hire her again. Fun activity! Everyone enjoyed it. Samaria was wonderful. The guests at our event LOVED her. She is a treasure. Samaria was so fun and entertaining at my Grandson's birthday/Halloween party. She helped talk my scaredy-cat guests through her process and even wowed them. I would definitely recommend Samaria and I will hire her again at my next party. We had Samaria for a Company Halloween celebration and everyone that spent time with her LOVED it. Accurate, eye-opening, fun, real...were the words that kept coming out of our employees mouths. Wold highly recommend. Samaria was wonderful! I hired for my daughters 18th birthday. She arrived with great accessories and visually made a fun impact. She was very good and extraordinarily accurate in her readings. Several different ways for her to read..crystal ball, sand, tarot cards. Her readings were real but it was so entertaining and fun for the party who's guests ranged from 6 years to 80. I will absolutely hire Samaria again for my next event! Amazing addition to our event! We booked Samaria for a themed birthday party and everyone enjoyed getting to sit with her! 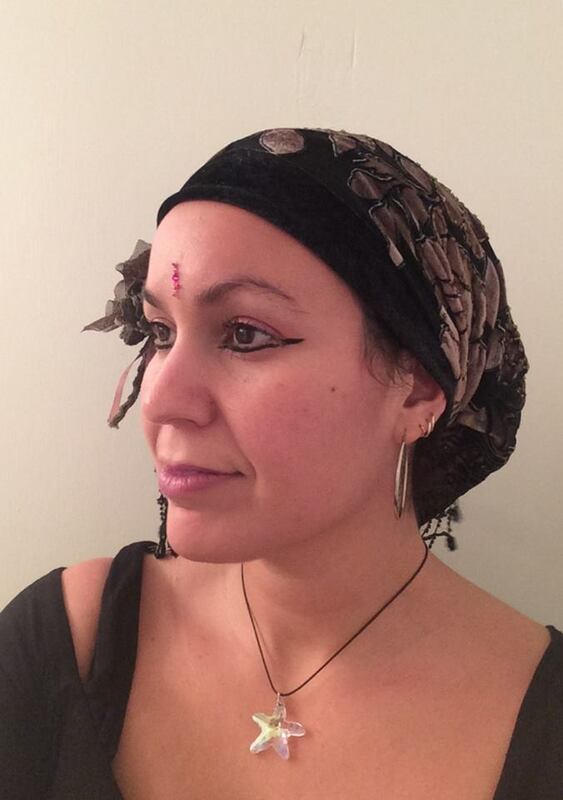 She offered tarot cards, crystal ball, and free style drawing readings. She was dressed for the occasion but not overly so. She was extremely professional and you could tell that she enjoyed what she was doing. I highly recommend her for your next event! So glad we hired Samaria for my moms 60th bday party! She was amazing and her setup was awesome! Highly recommend her!! Samaria was very professional and added a fun touch to our party. She was easy to work with and accommodating to our schedule. I highly recommend her for your party. Samaria was warm, professional, and had a tremendous endurance! She did readings at my 41st birthday gathering for more than 4 hours straight! The line never ended until everyone got a reading and some did both tarot and crystal ball. I got rave reviews and everyone loved it! I booked Samaria earlier this week for a small event. I had her do Crystal ball readings. I was impressed with her insights. She was able to describe my emotions and thoughts in detail without ever hearing my question. I would recommend her and will definitely book her again for future events!! Samaria came to our baby shower and did handwriting analysis for our friends and family. She was so knowledgeable and friendly. Everyone loved her and her insights on our personalities were spot on. She even explained a little about how she came up with her interpretations. She was on time and very professional to work with. I definitely recommend Samaria for an event or party - super fun! Samaria did a crystal reading for me about one year ago. At first, I didn’t understand how it worked but she took the time to explain in detail how the process would go. She explained the interpretations of her visions and images throughout the reading. I loved the fact that she mentioned the past and the present in a manner which was very comprehensive. The accuracy of her visions, and the interpretations were amazing. Her revelation of the future was so precise that it blew me away when it came to fruition. She told me she saw a bird about to take flight from off of a branch in order to fly high in the sky. She explained that I was going to undergo a phase of letting go of past negative experiences and related emotions and that I would move into an era of adventure and creativity while experiencing a sense of freedom within that process. At the time, there was not much going on in my life, but since then I got involved in a new relationship which I have been enjoying tremendously where we have had many adventures together. In addition, my creativity took off and I completed writing my first book, without having any prior experience as a writer! Through that process of writing the book, I have been able to let go of past negative experiences and emotions which has made me feel very free, just as Samaria predicted. Clients can expect readings from me in a professional manner. I will bring a little table, the crystal ball, tarot cards, and other items for fortune telling (sand, a magic mirror, etc). Each guest can choose the method for their reading. I come in complete fortune teller/gypsy attire. I will need 2 chairs and a somewhat quiet space for the readings as it is difficult to hear the readings over loud music. I provide psychic entertainment and also handwriting analysis for events. Influenced by a long line of female fortune tellers in my family, I use my intuitive gifts for entertainment purposes. For divination (crystal ball, tarot, sand, wine, or touch readings), an average reading can take between 5 - 10 minutes (depending on the number of questions) each person has. Doing a reading means that I tune into a person's tendencies toward certain actions but every person is the master of his/her own destiny. Every reading is fun, not scary, and recipients of the readings find the readings to be quite accurate while helpful. I also do handwriting analysis (this is a science and not a divination). Handwriting analysis is used by many corporations in Europe before someone is hired and also by many police departments in the U.S.. Based on how someone writes, analysis reveals their personality.